A Community Day appointment is provided at our Dubbo office for toddlers, preschool children and school children that need follow up from school testing. 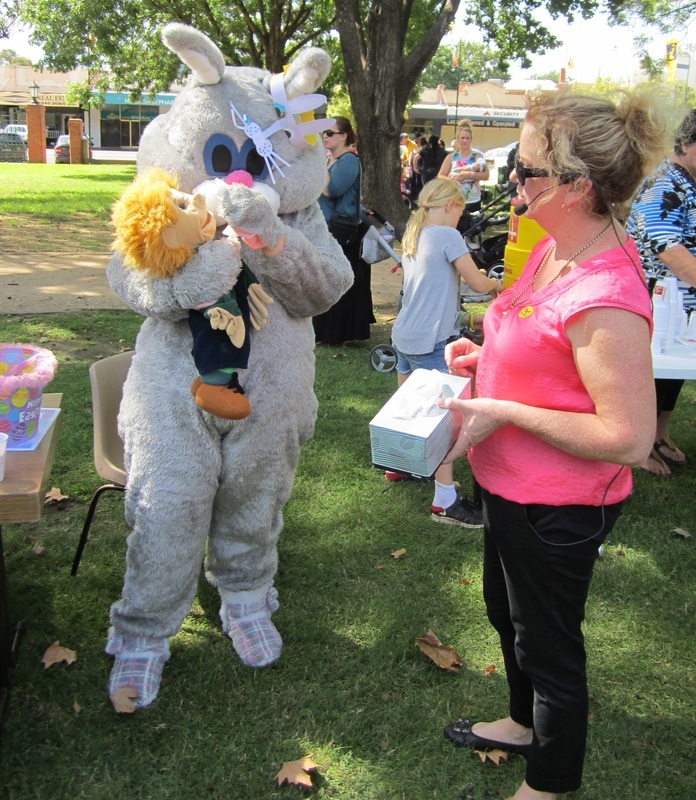 Testing is open to any child from any town and a donation on the day is appreciated. Testing is performed in the Ear Bus by our Audiologist. 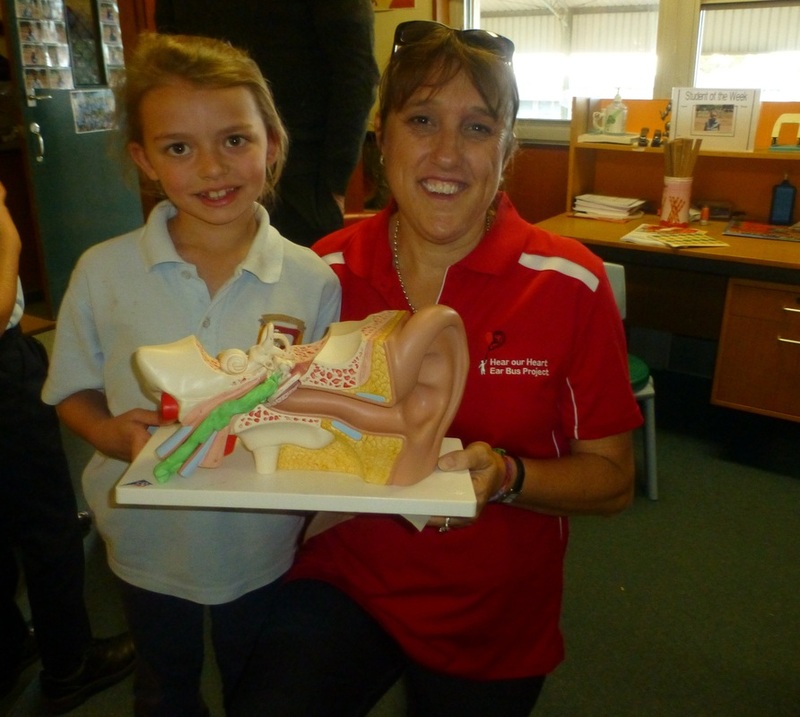 Often Australian Hearing refer children to us for a simple hearing test. 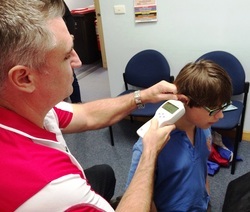 An ear health check (otoscopy and tympanometry), full hearing test (otoscopy ,tympanometry and audiometry) or a full clinical assessment is provided at school in the Ear Bus. Our Bus is specially designed for hearing testing and has a soundproof booth. 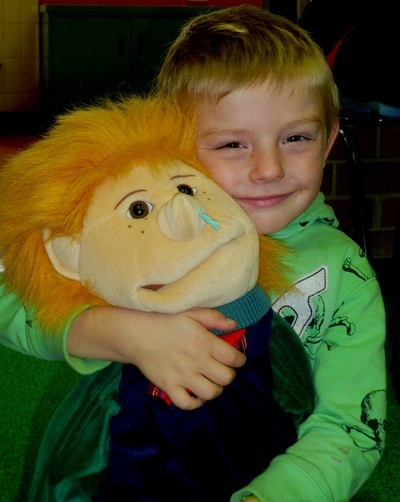 ​Initially the child is targeted as needing a test through the Conductive Hearing Loss checklist (see below). 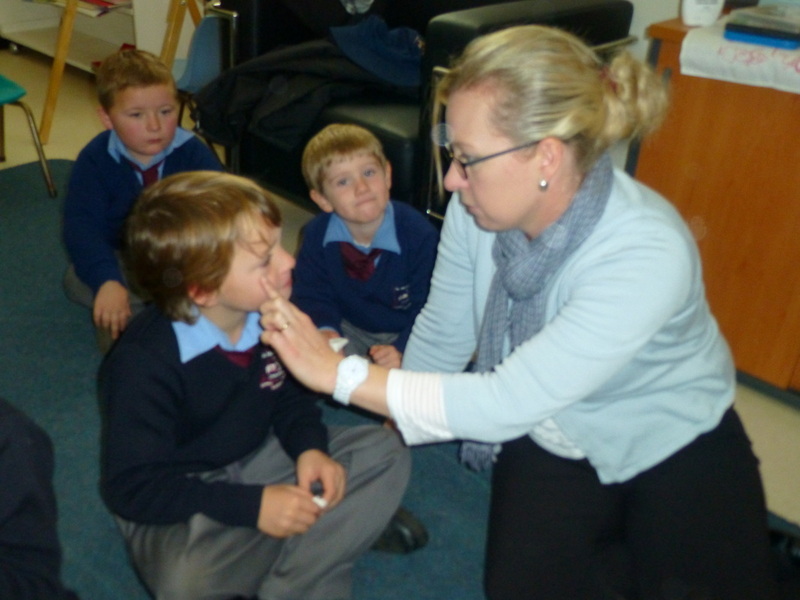 Follow up, if required, is done every 3-4 months back in the school setting or the Audiologist may choose to refer on to another service eg Australian Hearing, Ear Specialist etc. 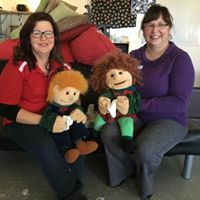 We provide 'targeted' testing for all children in both Public and Private Schools for the ages of 6 months to Year 12 in High School in Dubbo and close surrounding Districts. 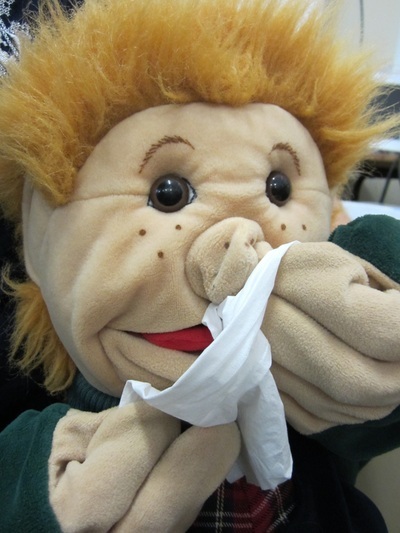 The nose blowing puppets Sam and Lucy also attend testing clinics for prevention and awareness. We are the ONLY program in Australia that provides hearing testing for all children of all ages and all groups. Other States have testing programs but only test Aboriginal children in certain age groups. The first part of the hearing screen is looking into the childs ear canal to check the middle ear health. A special ear torch is used called an Otoscope. We have the equipment to take photos of the eardrum, called a Video Otoscope. 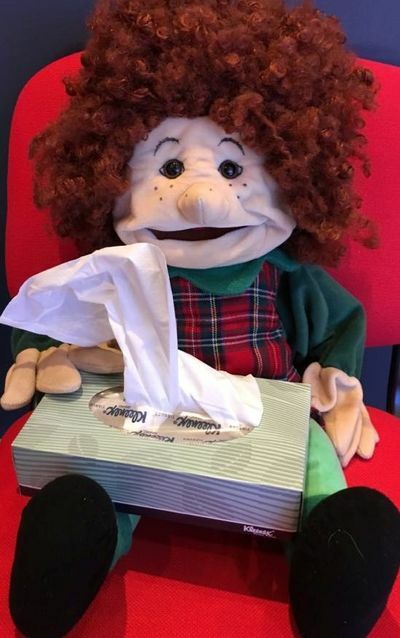 This can be sent to the Ear Specialist if needed when there are serious problems needing immediate attention as was the case with Angela in the picture on the left. Within 24hrs of capturing this image of her severe eardrums she had them assessed by a local Dubbo Ear Specialist and an appointment was made for her to see him in 2 days. The second part of the hearing screen is measuring the movement of the ear drum. A small plastic tip is placed in the ear canal. As soft tone and air is blown from the hand held monitor into the canal. A graph is printed that shows if the middle ear space is clear. It can also show if there if fluid/glue in the middle ear where the ossicles (ear bones) are, or if it is air filled as it should be. 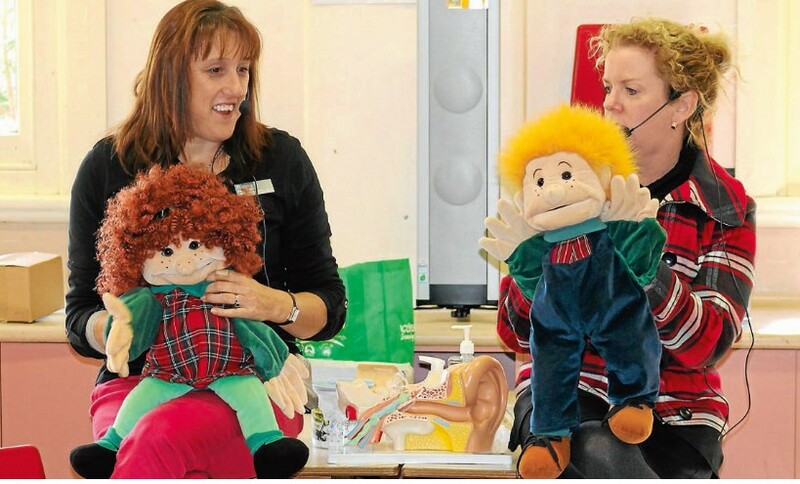 Local Audiometrist from Hearing Life, Travis Hall, partnering with us at Dubbo West Public School in May 2014. The third part of the hearing screen tests the hearing levels of both Left and Right ears at a range of frequencies. Sounds will be loud or soft and low or high. If there is a hearing loss it may be temporary because of fluid in the middle ear. If the tympanometry test is normal and a hearing loss is present it may mean there is a hearing loss caused from hair cell damage in the cochlear. 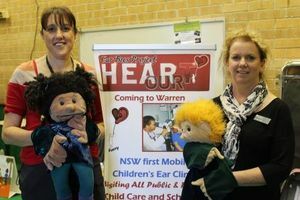 Further testing would need to be done at an Australian Hearing Office, who help children with permanent hearing loss. If there is a permanent hearing loss, hearing aids can help. Some handy parent information sheets.